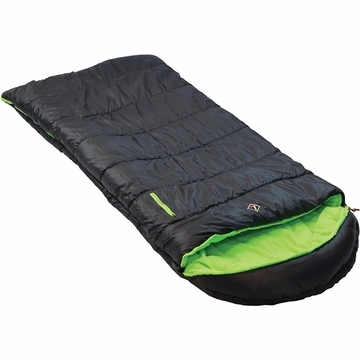 "Great youth size sleeping bag. Features include: contour adjustable hood, full length zipper, external pocket, anti-snag architecture, versatile webbing eyelets, and anti-crawl zipper stops. Stuff sack included. Carry Weight: 2.8 lbs. Size: 64"" x 27"" x 27""
Carry Size: 12"" x 8""